This gorgeous, sunshine filled, DIY wedding day is sure to bring a smile to your face. The feel-good vibes just radiate from the images by Sally Rawlins. 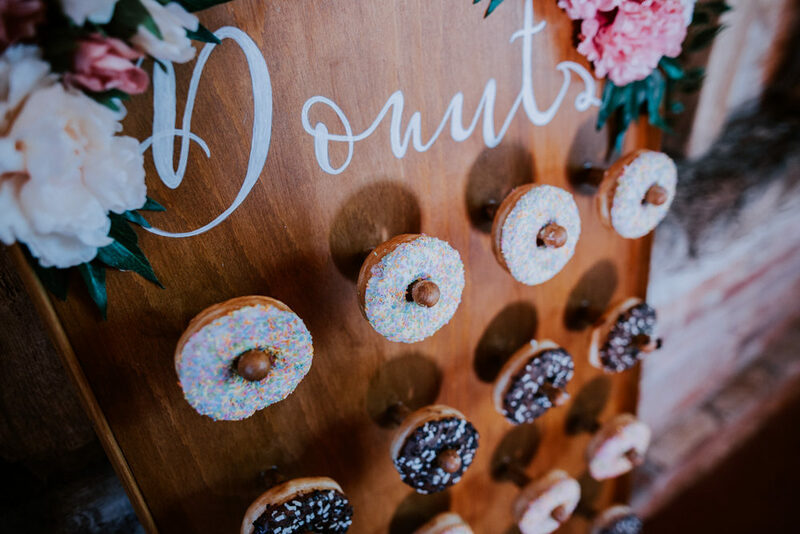 There are rustic details aplenty and a donut wall to salivate over. 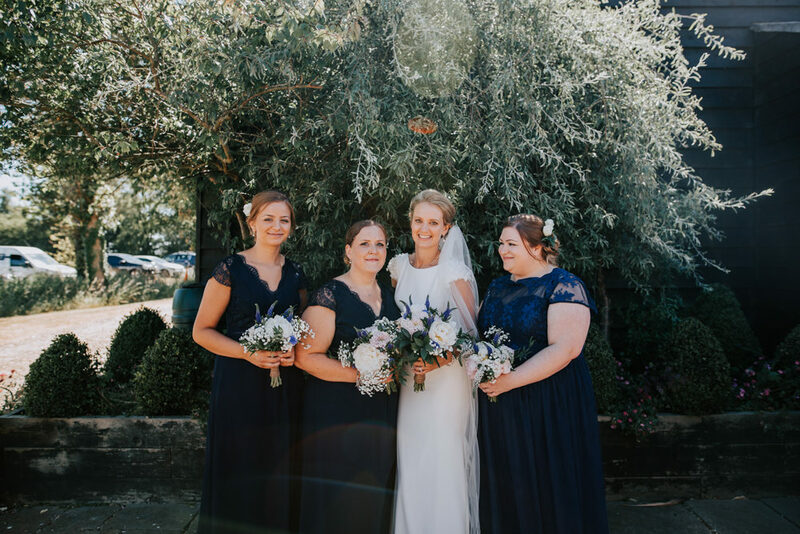 A touch of elegance is brought to proceedings with Kim’s Pronovias gown, with her bridesmaids wearing navy floor length gowns and the overall result is just beautiful – impeccably styled but with a homely, inviting feeling. 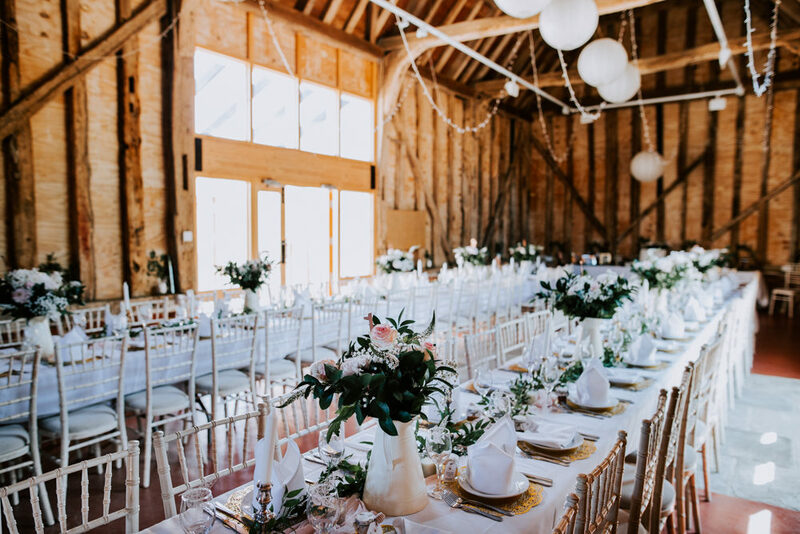 The couple chose Thurston’s Farm as their venue, they only do a small number of weddings each year and it’s such a beautiful blank canvas space for couples to personalise. Enjoy this one loves! Kim the Bride: Ergys and I have been together for 12 years and I was never really bothered about getting married. However, on the 1st September 2017 he got down on one knee and popped the question, which of course I accepted. We were planning to have one big smash up abroad, but decided it would be best to have one here in England and abroad so our close friends and family could all attend. So, from January onwards the mission was on to get married in with the next 5 months. I have to admit, Google was my new best friend. I visited a couple of bridal shops and thought I had found the dress. However, an ad popped up on Facebook for bridal gown clearance at a shop in St Ives called Honey B Boutique. Honey B Boutique had reduced the prices of their bridal gowns to a fraction of the price because they were only going to be selling Mother of the Bride clothing going forward. I went to the shop on my own thinking there probably wouldn’t be anything I’d be interested in, but I was pleasantly surprised. When I tried on the dress I knew it was The One; it was an elegant fitted mermaid dress by Pronovias with a plunging back and gemstone flower sleeves. My dear friend Susan offered to do my hair and ordered the floral hair piece from a flower shop. It was a sophisticated yet simple up-do where I could wear a veil. The men’s suits came from TM Lewin. We opted for a classic 3-piece suit in blue for the groom, his best man, and groomsmen, with buttonholes by me. We looked at two venues that were beautiful but I found them so regimented. I wanted a place that was relaxed, rustic, beautiful, charming and, most of all, allow us to do what we wanted to do, not what the venue wanted us to do. I came across Thurston’s Farm in Suffolk via Facebook, by searching for barns. At first I thought it was a lovely little boutique B&B, but after clicking on the website link I was happy to see they had a small section for barn/wedding hire. I phoned Amy the owner and arranged to go and see the place the following week. It was a miserable rainy winter’s day but as soon as we pulled up to the drive there was something magical about this place. It reminded me of the film “The Secret Garden” a hidden gem just waiting to be discovered! 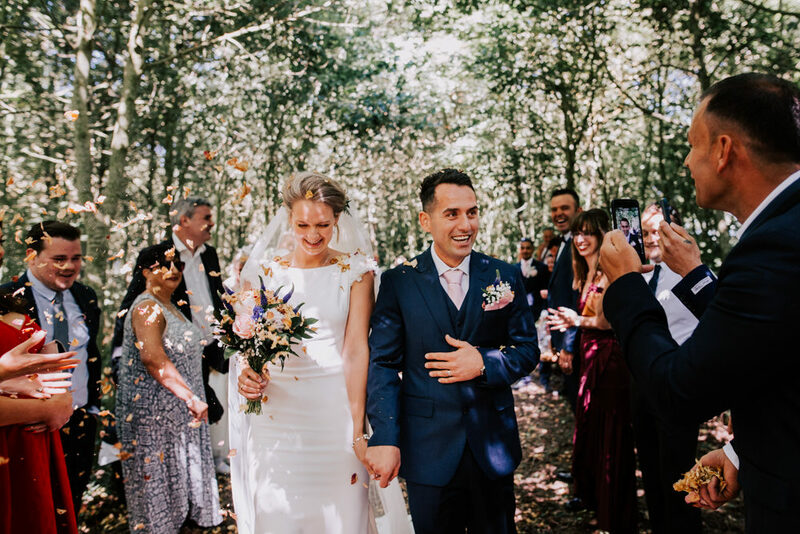 As it happens Thurston’s Farm only have a limited number of weddings every summer. I kept the colour scheme and décor simple as I wanted the place to show its rustic beauty. I went for pastel flowers (light pinks and whites), pink peony-coloured table runners made from cheese cloth I dyed myself, touches of gold paper doilies, natural green foliage and 1000’s of tinkling warm white fairly lights dangling from the beams. 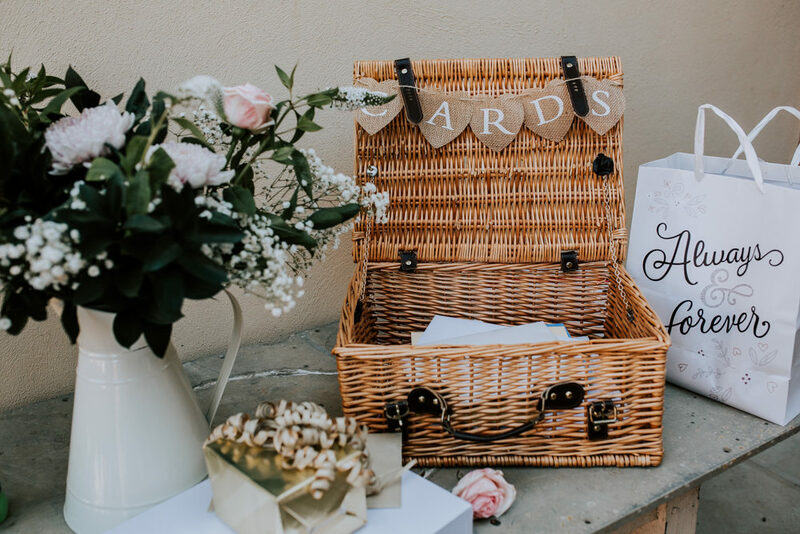 We really wanted the décor to complement the rustic charm of our venue – hopefully we succeeded! Our meal was inside the barn but the party was outside under more fairy lights, which was magical. I love flowers so much I decided to do all my centrepieces, buttonholes and bouquets myself. I have no training in flower arrangements but since a child I’ve always been really creative and I knew I could do it. I made a note of all the types of flowers I wanted, taking into consideration our colour scheme was pastels with touches of deep blue. I ended up dragging my niece to New Covent Garden Market at 4am in the morning two days before the wedding to buy lots of flowers and greenery. Honestly, I was in heaven! The smells and different variety of flowers were amazing, and gave me exactly what I wanted. The night before the wedding my sister-in-law helped me put together the centrepieces and I did the bouquets and button holes. Our three Bridesmaids wore navy blue dresses from Monsoon. Pageboy outfit was from Next. Flower girl dresses were second hand and I bought navy sashes to match the bridesmaids. 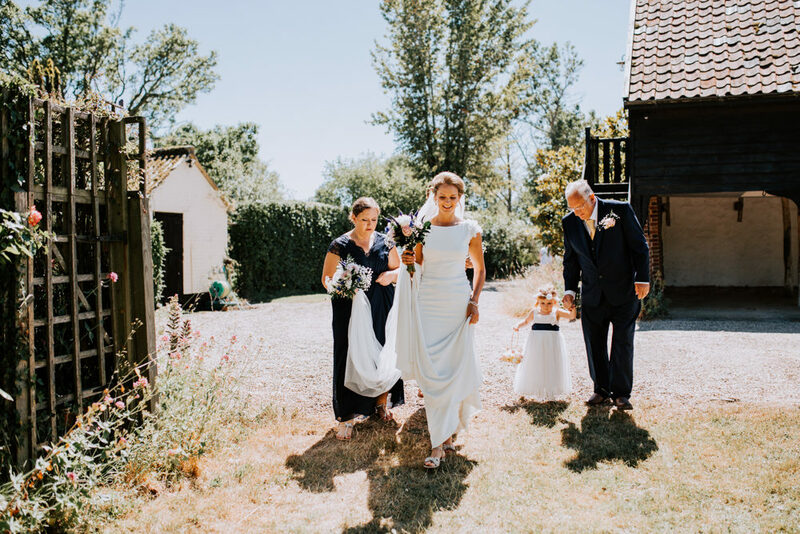 We had already officially ‘married’ the day before, with a legal ceremony close to home, so our ceremony at Thurston’s Farm was actually a blessing. We held the blessing in the woodland area that surrounds the venue, and we asked a close friend to read the blessing. It was really emotional. We decorated the area by hanging multi-coloured origami paper cranes around the guests; paper cranes are a sign of good luck. My Maid of Honour read a poem called A Lovely Love Story by Edward Monkton. Entertainment was supplied by Suffolk Weddings Events. Nic Chaplin the DJ was a legend, he set up all the sound system in the woods to play music before, during and after the blessing, in addition to the music provided during dinner and for the party. He also managed to get the Albanian music we asked for and played it throughout the night, which made for some brilliant impromptu dancing which everyone took part in! Food was supplied by Taylor and Hall Event Catering. We served a selection of canapes (all my guests said these tasted amazing), Italian sharing platter for starter, hog roast for main accompanied by loads of sides, mini cones of fish and chips for the evening. 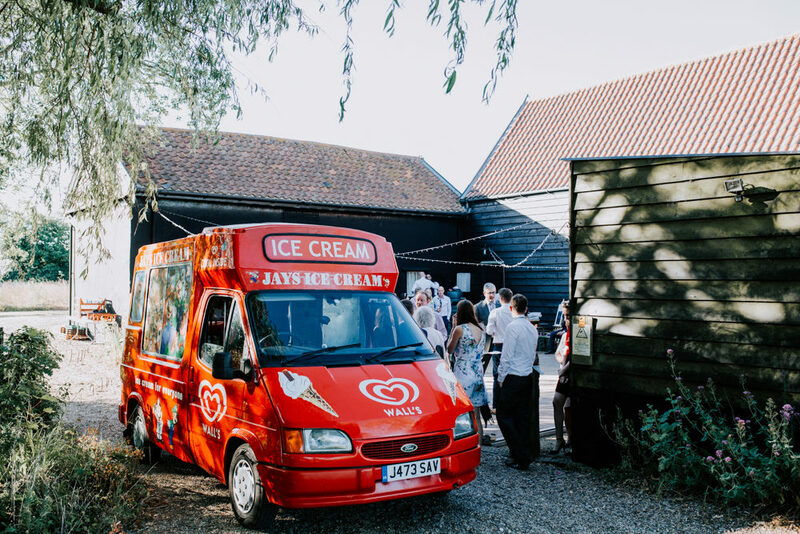 Dessert – we had an ice cream van come to the venue, serving hot Belgian waffles or chocolate brownies with ice cream, and plenty of different toppings! Everyone loved it, particularly the children. Our wedding cake was supplied by Cambridge Fancy Cakes (on Facebook). 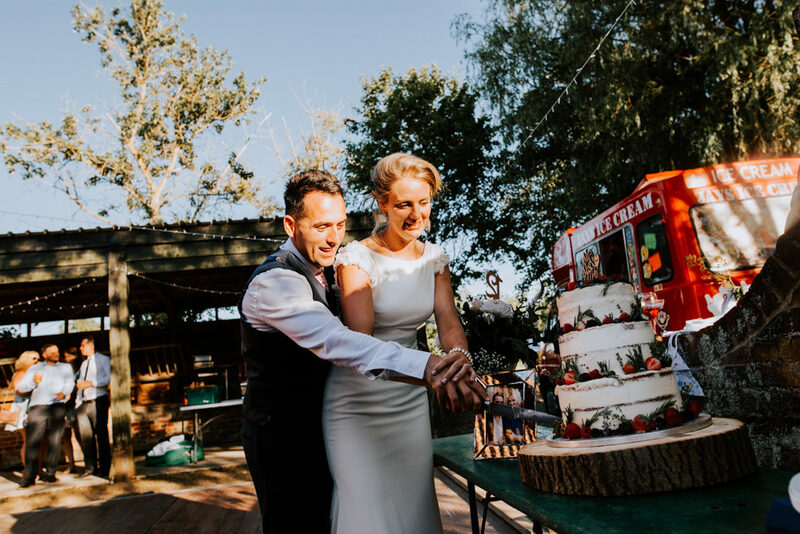 We had a 3 tier semi-naked wedding cake, top tier cream cheese, middle tier Nutella chocolate and bottom tier vanilla cream, decorated with berries and rosemary, with a laser-cut Mr & Mrs cake topper. It looked and tasted amazing! Reading all reviews online about weddings, the one thing everyone mentions is to spend the money on a good photographer. I made sure I did my research to find the best photographer within East Anglia. First I started with comparing reviews online and then I narrowed it down to three photographers. Once I had my shortlist of three, one day at work I got all three up on three different computer screens and compared their style of photography. 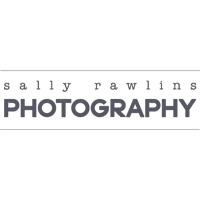 The one that especially caught my eye was of course Sally Rawlins. I messaged Sally and I was so happy to hear she was available. 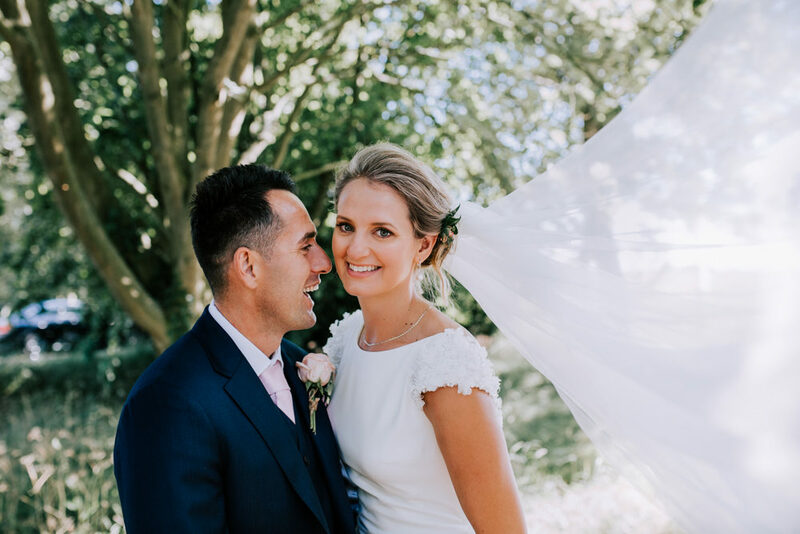 Just love a barn wedding, Well done guys and great photos. Looks like it was a really successful day. The ice cream van really topped it for me!